Key training insights and practical pointers from the experts. As more organizations turn to customer experience as a competitive differentiator, contact centers must ensure that staff at all levels and functions are fully prepared to drive customer-centric goals. How is contact center training evolving to meet the needs of today’s customer-focused organizations? How can managers align QA and training for better results? How can centers get the best ROI from training efforts? We asked the experts from the leading contact center training providers for their views and advice on these issues and more. Where should contact center supervisors and managers concentrate their own training to be more successful in today’s rapidly evolving business environment? Mike Aoki: Technology. Contact center technology is rapidly changing, with an emphasis on omnichannel client service and social media. To avoid falling behind your customer’s expectations, you need to read, attend seminars and be at least as knowledgeable on tech as your customers. Today’s customers, especially millennials, have high expectations of technology. They expect to get customer service help, not only by phone or email, but by website chat, Twitter and Instagram. To survive, contact centers leaders need to keep up. Jodi Beuder: With the changing environment of the customer experience (omnichannel, call skills blending, metrics to measure, etc), supervisors and managers should concentrate their own training on targeted guidance and encouragement of each agent, and reinforcement. Elaine Carr: Supervisors and managers should always be seeking to be better supervisors and managers. No matter how good they already are, there is always room for improvement. I would suggest the first focus is on being self-aware—looking at what the supervisor/manager has done well and where they could have done better. Doing some short, reflective writing in a journal at the end of each day is a great way to build this self-awareness and get better at managing others. Another area of focus should be on building relationships, both inside your team, and with those outside of the team. A big part of supervisingmanaging others is influencing them to get better at their job or influencing others to get the things the team needs in order to meet goals and be better at the job. Effective influencing requires good relationships, so get to know the people on the team as well as those outside of the team who can help the supervisormanager get the job done. These days it is also important for supervisors and managers to know how to use data properly. This means getting data out of the various systems in which it lives (so knowing how to use systems effectively) as well as then understanding what the data means and what to do with the data in order to drive improvements. It also means knowing when not to rely too heavily on data. As a training manager, I have always loved developing and facilitating management development programs. It is fun to help others get better at what they are doing, but it also helps me always get better as a manager because I’m always reflecting on how I can do better at whatever skill I am covering with others. Outside of developing and facilitating, I keep up this focus on getting better by reading lots of blogs, talking with others in management, and doing short, reflective journal entries in the last 10 to 15 minutes before I leave the office each day. Keep learning and keep working to be better. Jay Minnucci: Training at these levels should be customized to the individual. Moving ahead in today’s organizations requires a very well-rounded skill set, from coaching and leadership capabilities to technology expertise to data analysis skills (and everything in between). An honest self assessment of skills, along with input from mentors, is needed to craft training programs that most effectively address gaps on an individual basis. How can contact center managers more effectively tie QA results into training? Mike Aoki: Get the trainers involved in QA. Have them attend calibration sessions so they know what “great” sounds like. Have the QA team debrief any identified hot-button issues with the training team, so trainers know what to emphasize in their workshops. Don’t leave communication to chance. Schedule these sessions on a weekly basis! Jodi Beuder: Managers should identify their call center’s metrics that drive their customer’s success; what metrics should they be keeping an eye on, on a regular basis? Once they have a Top 10 list, they can more effectively measure quality of agent behavior based on how successful the call ends up. Elaine Carr: After a training session, whether it be new-hire, crosstraining, refresher training or any other type of training, isolate the QA results for those trained and look for areas of improvement or areas of opportunity. This means being able to drill down on the QA results to see what was missed and to see the specific comments the analysts provided. Make sure to focus on both positives and negatives. And then share this information with the trainer. Even make QA results for the people the trainer has recently trained available to the trainer to do their own drill-down analysis. After training, this analysis should be done at least weekly for the first month, if not longer, for new-hire classes. When sharing QA results with the trainer, make sure that the tone is collaborative and not accusatory. Recognize that not everything covered in training will be remembered when people actually are on the floor. Are there any big areas that people needed that they don’t seem to remember (whether or not they were covered in the training)? What areas did the training class excel at (so that you do not lose these areas of focus)? What could be changed about how a topic was covered in class that might make it more memorable? Is a job aid needed? I also coach trainers that they need to make the quality analysts their best friends. These analysts are a great source of information not only about areas of struggle, but also about specific examples for these areas. If a trainer wants an example of a specific type of call, they should let the analysts know about it so that when the analysts come across that kind of call in the course of their work, they will pass along the example to the trainer. Analysts are a great source of interesting, helpful, realistic stories that trainers can use in the classrooms, as well. The trainer should invite an analyst into the classroom to cover quality processes and do a calibration session with the participants. Training, quality and supervisors should regularly meet together to compare notes about how the teams are doing and what issues might be arising. Training is not the appropriate answer for every performance issue, but taking the time to meet and look at areas of opportunity with the teams will allow supervisors to proactively make plans for performance interventions, whether or not training is the appropriate intervention, and will more closely bind together trainers, analysts and supervisors as a team. Jay Minnucci: QA and Training must be closely linked or an organization will never achieve success. Every month, the QA team should generate a report showing quality rates by each category that is monitored (opening, courtesy, etc.). The data should be shared with Training as a way to prioritize the areas where the trainers should focus their efforts. Beyond this, it can be very effective to have the trainers function as “part-time” QA staff, at least when hiring activity is minimal. That allows the trainers to directly observe the outcomes of their work. Dina Vance: To effectively tie QA results into training, QA must benchmark and identify trends, behaviors, processes, performance gaps, and compare those results with customer satisfaction data. Based on this information, training provides tools, job aids or short refreshers to address the needs. QA continues to provide new benchmarks to show changes in behavior. What types of frontline training are most effective at reducing agent turnover? Mike Aoki: One of the leading causes of agent turnover is frustration. Frustration from not being equipped with the right answers to client questions. Frustration at not knowing how to use the systems. Frustration with being yelled at daily and not knowing how to recover and recharge. To reduce agent turnover, the training department needs to constantly upgrade the content of their training to address key customer concerns. They also need to ensure that their training systems mirror the current production environment. I have seen too many training departments forced to use antiqued systems that have not been refreshed to match the current production screens. As a result, new-hires learn the old way of entering information and then are shocked to see the production screens once they graduate. Finally, more emphasis needs to be placed on training agents to recover and recharge from tough calls. Otherwise, they burn out and quit. Jodi Beuder: Training that shows the agent they are being invested into, that gives them skills to improve their behaviors—those are the types of training tactics that make a difference. When an agent feels their company cares about them as a person, and their growth and improvement, versus numbers and bottom line, those agents tend to stay. Elaine Carr: One of the most important elements in reducing agent turnover is remembering that they are adults and treating them with respect and as individuals. When designing and delivering training, or just when interacting with agents day-to-day, it is important to remember this and not just treat them as interchangeable machine parts waiting for you to press the button to turn them on. Agents have a lot to offer. (1) What is call control? (2) When is call control difficult? (3) What are your best tips for controlling the call? The participants fill up the pages with their thoughts for the first 10 minutes of the class and then the remaining 35 minutes are spent actively reinforcing and practicing applying these things they already knew but were not applying. They then can go back and apply the principles to their calls, improving handle times and the customer experience considerably. It all began with treating agents as adults who have knowledge and experience that was worth sharing (as opposed to treating them as misbehaving children). Since adults learn best to solve a problem they have, drawing agents in to identify areas they need further training in and then designing that training around solving the agents’ problems will help reduce turnover as the agents feel they are getting better and moving forward in what they are doing. Additionally, training that challenges the agents in new ways will have the same effect. Finally, using agents as SMEs to help others, either in a training class or on the floor, will help agents feel even more ownership and mastery, recognizing and capitalizing on their strengths. Nina Kawalek: Controllable turnover occurs primarily when agents experience either poor job fit or an inability to perform well. Most agent training programs are focused on performance, so let’s explore the poor-fit issue and where training can help. While aspects of work peculiar to contact center environments are explained during the hiring process, some candidates that are poor fits invariably get hired. At the same time, new-hires who would fare well in a contact center can be initially put off by rigorous management practices inherent to a call center if they do not understand the purposes. They could leave for the wrong reasons. In either case, the cost-of-attrition meter is running. Helping new-hires decide whether the job is a good fit for them early in the new-hire training process helps to minimize the center’s cost of attrition. So, what could help? Seemingly Big Brother-ish functions in the call center environment can catch new-hires by surprise, such as emphasis on mere minutes of non-adherence, and the detailed expectation, scoring and analysis of quality monitoring. Including a training module that demonstrates the impact of non-adherence to schedule on customers and team members can open people’s eyes to the reasons management emphasizes agent timeliness. Similarly, new-hire training is the perfect time to explain the continuous quality improvement cycle and the purpose of quality monitoring and coaching in a contact center. Are you monitoring agents during new-hire training and explaining how scoring is performed? What about self- and peer-monitoring? A little creativity and gamification can take the fear out of the quality monitoring process for good. For those who are going to be a good fit for the call center, understanding the purpose of scheduling, tracking adherence and continuous quality improvement can take the stress out of being the subject of these processes. On the other hand, if a new-hire is not a good fit, it’s better that they learn it early in the onboarding process, before the organization makes additional investment in nesting, mentoring and coaching, when that investment is about to walk out the door. Jay Minnucci: If you have hired properly, you will have agents who find a great deal of intrinsic value in serving customers. Delivering the type of training that directly improves customer satisfaction (and then allowing agents to do what it takes to meet customer needs) will generate the satisfaction and engagement that keeps agents in their jobs. Much of this training is communication-related—understanding unspoken needs, varying styles to match the customer, engaging in meaningful conversation—these are topics that hit home with agents who are truly interested in making a career of the contact center. What types of training programs can prepare frontline agents for engaging customers across multiple channels? Mike Aoki: Omnichannel requires agents to have a much higher level of communication skills. They need to be trained on written, verbal and social media skills. Notice that I put social media skills as a separate category. That is because it is different than regular email or report-writing skills. One of the big challenges in converting a “call” center to omnichannel is training agents on their reading and writing skills. They also need to learn how to translate their “friendly phone voice” into a “reader-friendly” writing style. Jodi Beuder: All of customer engagement, no matter what the channel, revolves around communication. If the agents can attend a half-day session regarding communication skills, they can focus on short communications (live chat or social media) and verbal communications (phone or in-person), and be successful with any type of channel. Dina Vance: The type of training required to prepare agents across channels is three-fold. First, training needs to identify competencies required, as they differ between multiple channels. Second, training must be designed to include all four learning styles: write, read, see and do. The third requirement is to determine a common conversation strategy for every touchpoint, so that every customer is provided the same positive experience. 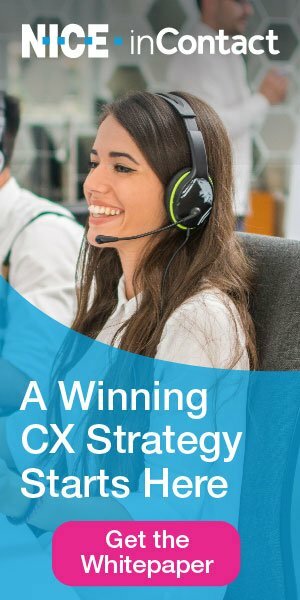 How have contact centers evolved their training techniques to reflect changes in the frontline job/function? Jodi Beuder: Invest in training as a job skill improvement, behavior improvement and culture improvement versus focusing on training to improve revenue growth (that will happen with positive behavior changes). Elaine Carr: Gamification is the hot word in all training these days, and trainers are moving beyond the games that test participants’ knowledge to games that help participants’ apply their knowledge in situations like what they will encounter on the job. One call center has identified four attributes that create Wow! customer experiences and have created paper badges for each quality. The four attributes are introduced on the first day of training, and any time a participant exhibits the attribute, they are awarded another badge to display on their training folders. This is continued as they start taking real calls during nesting, and awards are given to the person with the most badges in each attribute as well as overall. By the time nesting is over, the four qualities are ingrained in the agents, and quality and supervisors continue to reinforce them. bAnother example is a baseball game that when the player hears “Play ball!” they respond with the greeting and then they will hear an actual clip from a call where a customer explains their situation and the player has to respond appropriately and provide the solution (with the Instructor filling in as the customer after the initial clip). Some players in new-hire classes respond with a “deer in the headlights” look much like what they experience when taking their first call. The players all were much better able to respond to real calls after playing this game. A bigger trend in training these days is to produce short 3- to 5-minute e-learning units that agents can access during slow times or to resolve specific problems they are encountering as they are experiencing the problem. These short “micro-learning” experiences are very focused while still engaging. They do need to be updated as they grow stale and to be sure they are current (easier to do since they are so short), and they need to be organized so that agents can find what they need quickly. They also provide a good resource for the coach who is trying to help an agent with a specific skill. Using real examples in micro-learning units makes them all the more effective. What types of training should contact centers direct more budget/resources to? Are there types of training where budget/resources can be reduced or reallocated? Mike Aoki: Put more money into training agents to handle irate calls. In today’s social media age, an irate call can quickly escalate into damaging publicity. Ten years ago, an upset customer told an average of 10 people about a poor customer experience. Now, a single tweet or website review on Yelp can reach thousands. For example, I recently looked for a vacation hotel for my family. I saw one I liked, but when I checked the online reviews, there were three negative ones that made me decide NOT to stay there. Even if an agent cannot fix the customer’s problem, great customer service skills can ensure that an irate customer does not escalate into a social media firestorm. Jodi Beuder: The reinforcement of training should be invested in more, so the skills/behaviors that are taught and learned can be implemented and reinforced constantly. What advice can you offer for communicating the value of training to the CEO and/or CFO? Jodi Beuder: Training will increase Csat, decrease employee turnover and, therefore, increase revenue and decrease overhead. Elaine Carr: Data speaks, so collect data on training. But do not shower the C-Suite with all the data you collect. Instead, point out the things that are important to the C-Suite—the things that support the company’s goals and initiatives. Present it in a graphical manner, directly telling them why the information is important to them. Creating a one-slide highlight of things that the C-Suite cares about is far more important than a deck with 100 slides showing the data sliced and diced in 100 different ways. What does the C-Suite care about? The impact of training on agent performance and how that helped the company. They don’t really care about training hours, number of trainees, number of sessions, or how much effort the trainers exerted in designing and delivering the training. They care about how the training supported the company’s performance—increased sales, reduced handle time, contributed to first-contact resolution, increased customer satisfaction, etc. While it is often difficult to prove that training alone did any of these things, the fact that it is a contributor to improvements needs to be pointed out and documented. To sum up my advice: Just because it is important to you, doesn’t mean that it is important to the C-Suite. Have the data to back up everything, but only present the data that the C-Suite would want to see as impacting the company’s initiatives and goals. Be succinct, graphical and to the point, looking at everything from the busy executive’s viewpoint, but present your training information as a story whenever possible to help personalize the information and make it more memorable. Jay Minnucci: Members of the C-wing typically respond best to logical, objective arguments. Payback should be a central theme of any type of discussion with this group. Ideally, you want some “hard” payback (i.e., dollars and cents), but you can also include payback in terms of outcomes like higher customer satisfaction, as long as you can provide this in an objective, mathematical way. What are some of the more cost-effective training techniques that can be used in call centers? Jodi Beuder: Lunch room bulletin board featuring “Names in Lights”—simply put up Agent of the Month signs, Highest FCR for the Month, Highest Csat for the Month signs, etc., to show off who is doing a great job. It will incentivize other agents to do better and practice more so their name can be in “lights” as well. Dina Vance: One of the most effective training techniques for use in the call center is creating a five-minute fun exercise to use during huddles. Learning must be delivered in small, multiple sessions to accommodate varying volume of contacts. This can be done by using a combination of e-learning, facilitated sessions, self-study skill builders, along with plenty of practice until the skills become second nature. Follow-up coaching directly after the training supports the effectiveness of the training, with frequent side-by-side monitoring. Which types of contact center training produce the best ROI? Jodi Beuder: Training your agents to understand the management’s evaluation process will help them to improve their skills and communicate with their supervisors. Open communication and understanding of what is being evaluated will help agents work to improve Csat, FCR and other important metrics for that particular call center. Nina Kawalek: Sometimes the best ROI is the one that’s straightforward and easily calculated. Proving training ROI in direct hard-dollar terms can garner management’s trust and justify additional investments in contact center training. Focus on training topics that directly improve utilization of the center’s current investment in frontline resources. Training topics that impact agent call handling efficiency nearly always produce a positive, measurable ROI. A quick training module on schedule adherence, for example, what that means, why it’s important in a contact center, and the impact of adherence on ASA and customer satisfaction, can produce an immediate change in behavior and improvement in agent adherence. Because both the agent time recovered and agent’s compensation rates are known, here’s an area where you can easily compute ROI and cost-justify your training efforts. To compute the ROI, measure the attendee’s adherence rates before and after the training, compute a compensation dollar equivalent for available time recovered, and compare it to the cost of developing and delivering the adherence training. Typically, an immediate return can be seen. More importantly, if your training produces a longer-term change in behavior as one would expect, those savings recur far into the future. Another training opportunity with easily calculated positive ROI is Contact Center Professional Training and Certification on advanced call control and call-handling skills. This is different from online self-study modules and How to Handle Difficult Callers classes. Agents skilled in advanced call control techniques have learned to zero-in on callers’ internal quality perception drivers, those subconscious expectations on which callers’ base their assessment of a quality experience. Agents who display behaviors that actively target the customer’s quality expectations increase customer satisfaction and reduce talk time. The result is a reduction in average handle time with increased customer satisfaction. The instructor-led workshop environment is important to competency-based training programs where participants must practice to master call control skills. Participants in advanced call control techniques also learn scientifically proven skills for assessing caller communication styles. This makes agents more adept at regaining and maintaining control of interactions, managing stressful interactions, even correctly interpreting non-verbal cues known as paralinguistics. A skilled contact center professional can learn how to be a vocal chameleon, adapting to each caller’s preferred style, and speeding along the communication. Adaptive Communication Skills—how to quickly assess and adapt to customers’ preferred communication styles and process preferences—does optimize talk time. The payoff can be seen in reduced handle time, which, when multiplied by agent compensation, reveals a hard-dollar savings in compensation cost per call. Measure average talk time before and after advanced Contact Center Professional Certification training, compute the reduction in compensation cost per call, and compare that to the cost of the training. Voila! Immediate, measurable ROI. Jay Minnucci: Time and time again, agents and frontline leaders who get exposed to well-designed training on basic call center principles walk away with an appreciation for the organization that they carry with them throughout their careers. This type of training provides the “a-ha” moments that explain why certain things happen, and why contact centers do some things differently than other operations. As an example, an understanding of how quickly a queue can form and how that negatively impacts customer satisfaction makes it easier for an agent to understand why arriving two minutes late can be a problem in a contact center, but not in the accounting department. Dina Vance: The types of training that produce the best ROI are those that allow simulated practices in a safe learning environment. By using simulations, representatives quickly learn the responses that produce the best experience for the customer. Learners are also guided by customer responses, along with learning from their mistakes. Time spent practicing quickly transfers to live calls, avoids mistakes in a live environment, and representatives can more adeptly manage customer conversations. How is agent training evolving to reflect the changing contact center environment? Jodi Beuder: Focusing on behavioral change versus tactical improvement makes all the difference and is becoming the norm in agent training (or it should be!). Dina Vance: Agent training has evolved as technology takes care of simpler requests and tasks. What remains are the most demanding customers who require a confident, knowledgeable representative who can make good judgments based a company’s goals. Representatives must be able to problem solve, take immediate ownership of the customer’s issues with confidence, and follow up on their promises.